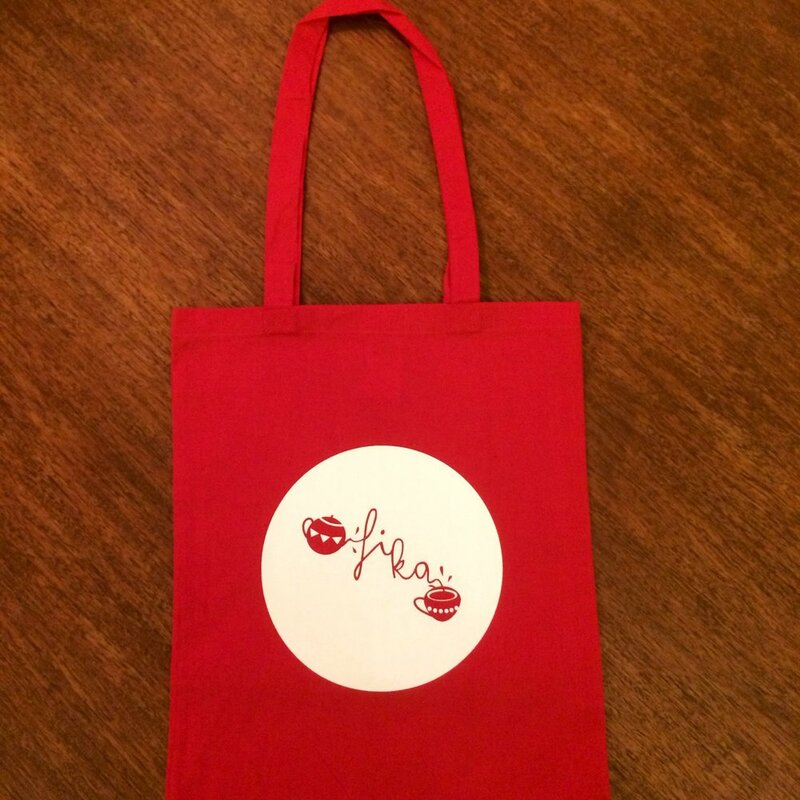 We've had some tote bags made up. They come in 5 colours (black, graphite grey, navy blue, classic red and bottle green), are 100% cotton and look amazing! 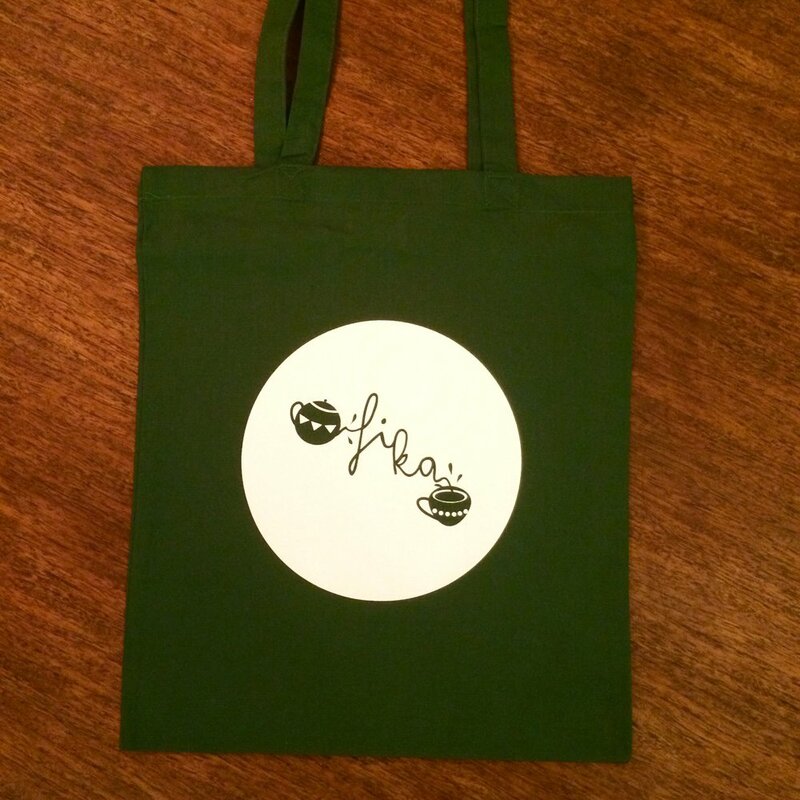 Available from the Fika webshop - buy tote bag.